Learn about DIY tests, hiring a radon mitigation contractor, and building a radon-resistant home from thisoldhouse.com. Procrastination can be more than just a bad habit; it can be downright dangerous if it means you’re stalling radon testing for your home. Radon is a tasteless, odorless invisible gas—which comes from the natural breakdown of uranium in soil, rock and water—that can seep into homes. 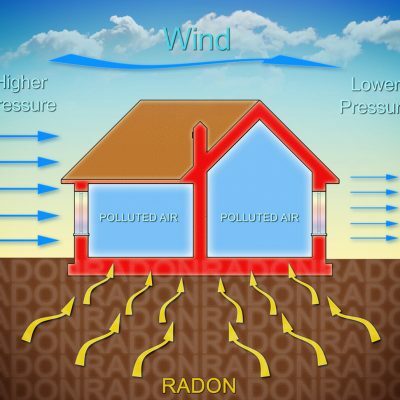 According to the Environmental Protection Agency, radon contamination causes nearly 20,000 deaths a year. Thing is, you can test for and “fix” this very serious problem quite easily. Here’s what you do. All homes should test for radon, regardless of geographic location; homes with elevated radon levels have been identified across the country. If you haven’t checked for radon in the past two years, or if you’ve done some remodeling since the last time you did, pick up an Accu-Star certified radon test from your local home center. Available in both short-term and long-term monitoring, the tests are easy to use and require minimal setup. “The test is cheap and reliable—it doesn’t take rocket science,” says Bill Wehrum, an administrator at the EPA’s Office of Air and Radiation. If you do find high levels of the gas above 4 picocuries per liter of air (pCI/L), you should immediately call your state EPA office for a list of qualified mitigation contractors in your area. While some of the solutions are simple, it is not a DIY job. “If you don’t do it right, you might actually increase the level of radon or compromise the air quality in your house,” says Wehrum. A radon mitigation contractor will be able to tell you what kind of radon control system (active or passive and sub-slab, sump hole or block wall suction) will be most effective for you based on where you live and what kind of foundation you have. They should also be able to provide tips for keeping your home safe, such as continually checking for and sealing up cracks in your foundation. Be sure to test your home again once any work is completed and continue to do so periodically to ensure your mitigation system is working.